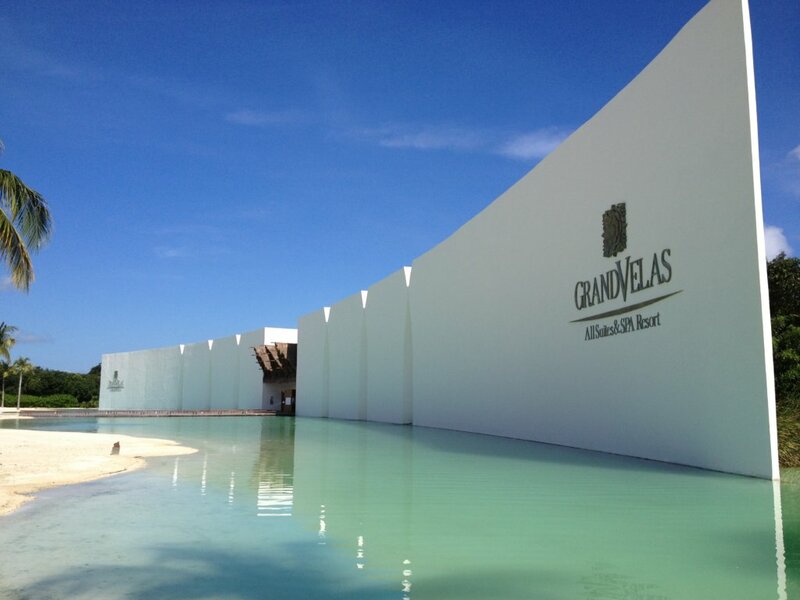 Only one word comes to my mind when I am writing my review of Grand Velas Riviera Maya: “Perfect”. The Riviera Maya is one of my favorite destinations, I used to think it lacked something that would truly enhance its beauty, until I stayed in this resort. From the entrance, I was astonished by the spectacular facilities. 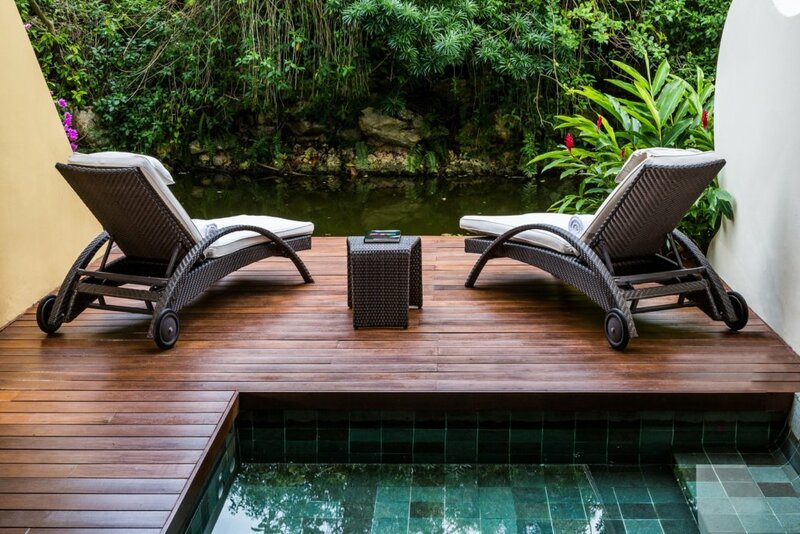 You are greeted by a huge deck at the entrance to this magnificent haven. The pathway to the Zen Grand lobby (one of the 3 main ambiances that this resort offers, that would be my place of relaxation during my stay), is relatively far for walking but shuttle service is available to visit the various ambiances and offers an incredible view. When I arrived, I did not have to wait for check-in; You are greeted with a refreshing drink, a citrus scented facial towel and a complimentary massage to relax from the trip; Your personal Concierge arrives (who takes care of everything you need and answers all your questions), introduces himself and begins with your suite tour. 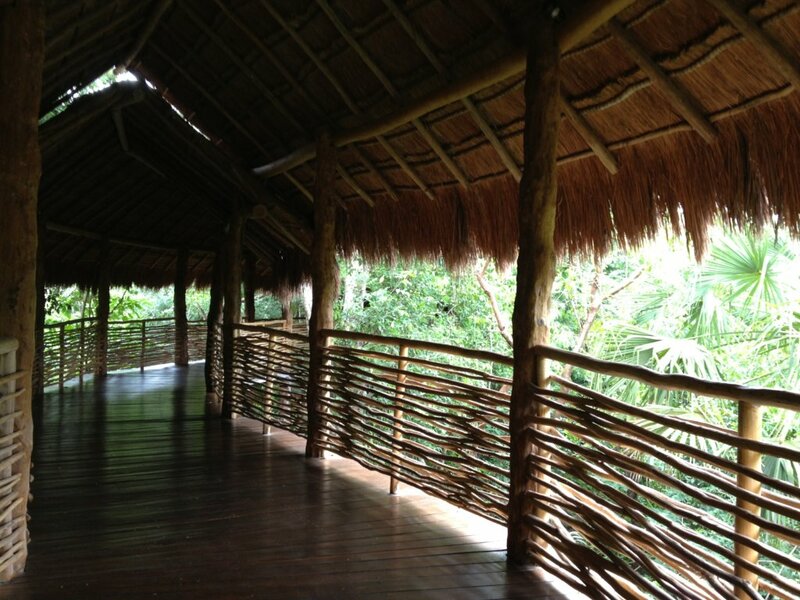 The journey from the lobby to the suites is surrounded by nature, there is a wooden bridge that passes over a cenote. If you wish, your Concierge will give you a brief tour of the Zen Grand ambiance, highlighting the most important areas. Once settled in my suite, I was more than ready to enjoy my stay. 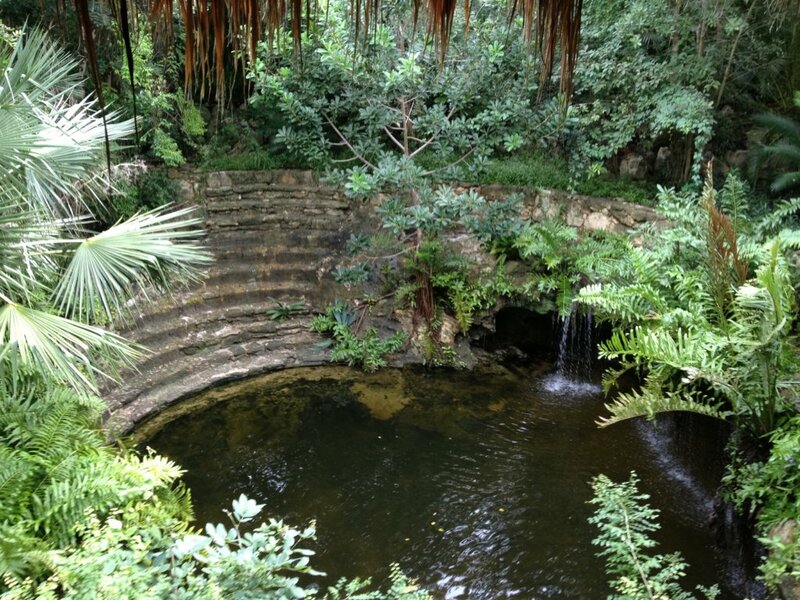 The first thing I did was open the window that leads to the terrace, I decided to take a moment to admire the view of the Mayan jungle that surrounded me … It was an incredible sensation. I was recommended to take the Eco-tour, a guided tour through the jungle and mangroves surrounding the resort, where you can learn a little more about the flora and fauna of the region, as well as visiting the cenotes. Two particular trees caught my attention, the Chechén and Chacá. According to the legend, the first can cause burns and the second heals them; The interesting thing is that they always grow next to each other. The restaurants at this resort go beyond a conventional all-inclusive. All the nationally and internationally recognized chefs are specialists in the unique food style they create. An example is Mikel Alonso and Bruno Oteiza, the creators of the concept of Cocina de Autor restaurant. At present, both have become the best chefs in Mexico and their restaurant Biko is among the best in the world; Xavi Pérez Stone, winner of Iron Chef Canada 2014, serves as supervisor. The first restaurant I visited (which can not be missed during your stay) was precisely Cocina de Autor, located in the Grand Class ambiance. 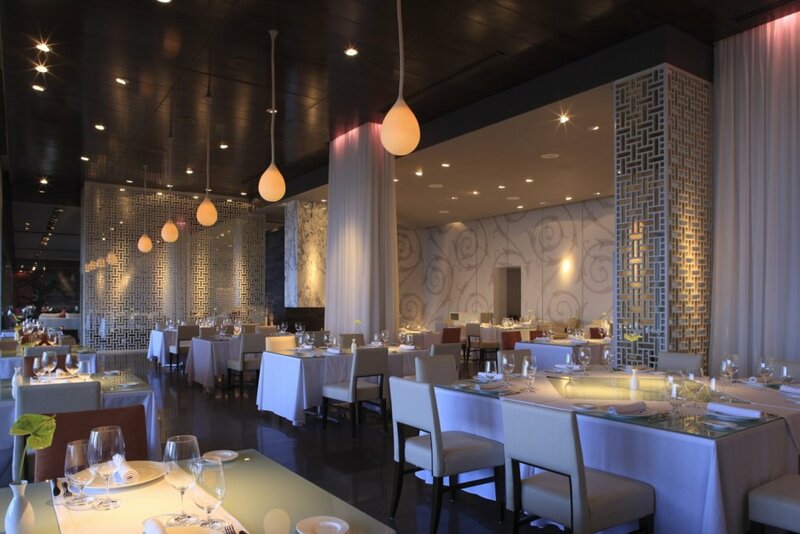 It has received the AAA Five Diamond Award and is undoubtedly one of the best gastronomic experiences in Mexico. Each of the courses on the 12-course tasting menu is explained by the chef and perfectly paired with wine. You will be transported you through different and unique flavors! 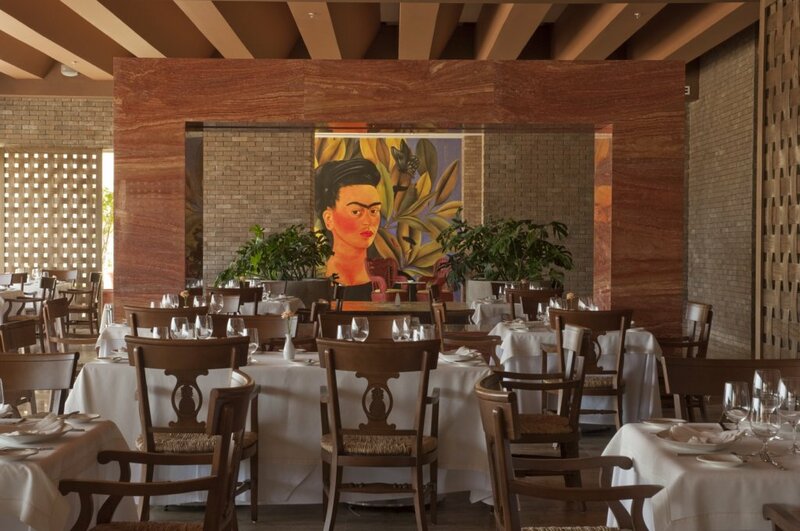 The resort also caters to all tastes with gourmet restaurants such as Frida, fine Mexican cuisine and Piaf, French cuisine, perfect for couples’ dining, due to its romantic atmosphere decorated with curtains and Swarovski crystal chandeliers (both certified with Four Diamonds by the AAA). Lucca offers Italian-Mediterranean specialties; Sen Lin, Asian fusion and Chaká, Yucatecan cuisine. Continuing with the wide range of options – during the day and in a more casual mood – Chaká (again), Bistro and Azul, with vast buffets and à la carte menus. Also worth mentioning, the hotel has a botanical garden where chefs harvest produce and herbs they use in the kitchen. All the ingredients used are organic. The restaurants are distributed throughout the different ambiances of the resort and all are included during your stay. You can enjoy them all even if your suite is located in a different ambiance, as well as all the resort facilities. The Grand Class offering the most spacious suites of the resort and incredible views, with the beach just a few steps away from your suite. 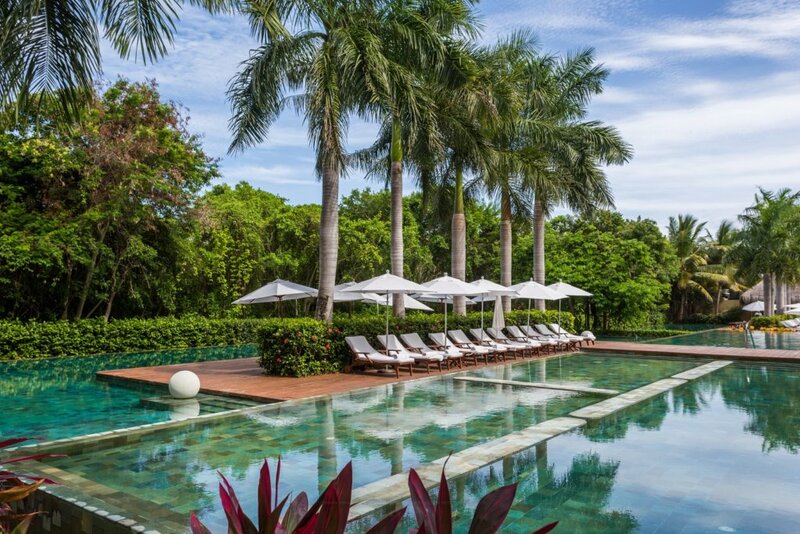 The Ambassador is the family area which has three infinity pools and also fantastic scenery. Some of my favorite sites were the Kids ‘Club and Teens’ Club. They are in the Ambassador section and are dream destinations for minors (as well as for older ones, as in my case). 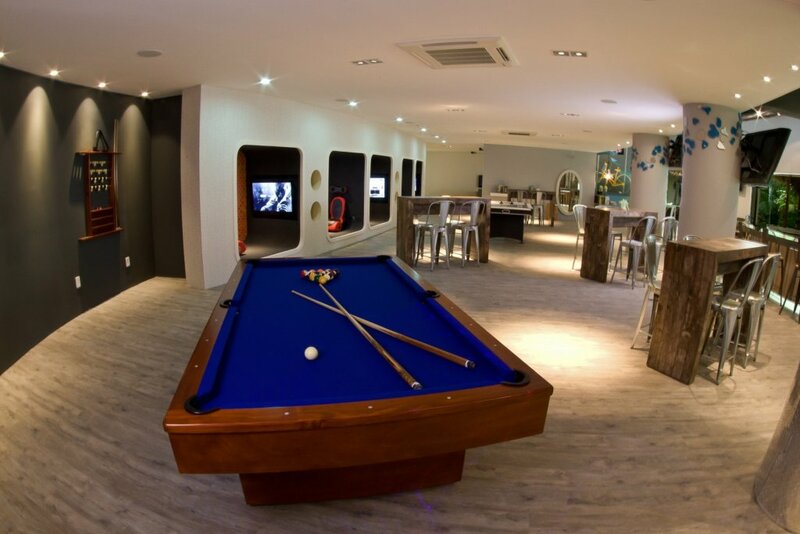 The Teens’ Club is equipped with foosball, table hockey, billiards, a cafeteria and for gamers: individual booths with video games, seats with built-in speakers and high-resolution screens. My plan for every night was to visit the Fifth Avenue in Playa del Carmen, but I realized that it was futile; the nightlife at the resort is amazing. It has several bars that offer all kinds of drinks. You go on a tour: from the Karaoke Bar, Piano Bar and Sky Bar that has a spectacular view of the Caribbean Sea, ending at Koi Bar, which closes at 3 am. 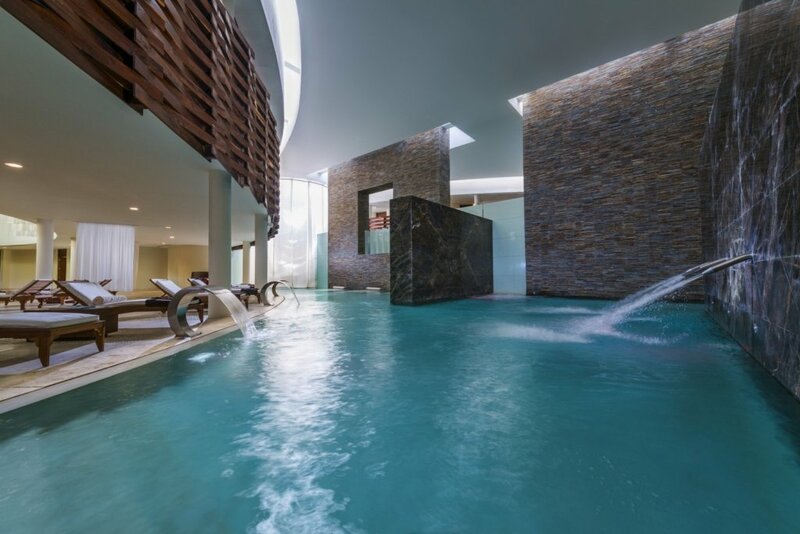 The Spa at this resort has been considered the best in the world. The photographs I had seen before my visit did not honor its size, which is impressive. When I arrived I asked the receptionist about its construction and she explained that there was a huge hollow on the ground and the Spa was built inside it. Before my treatment, I took the hydrothermal ritual; walking down the stairs I was amazed by the dimensions and by the abundance of water! 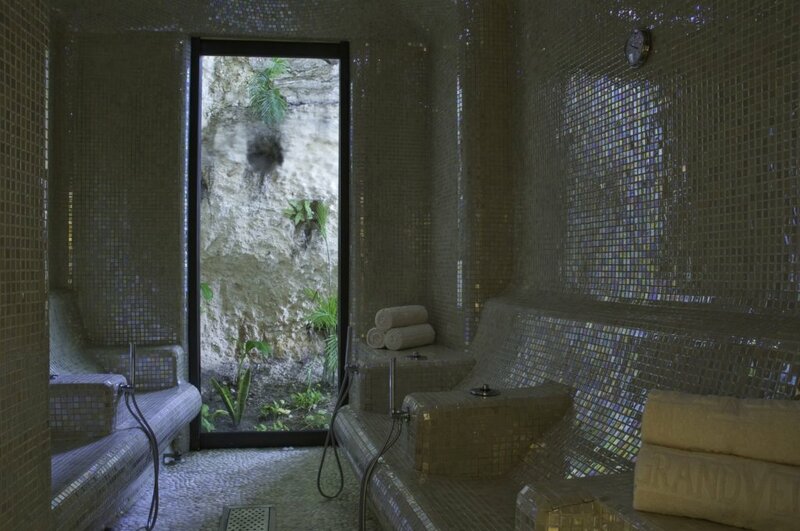 In this journey you go through different water temperatures that make your body relax completely. My treatment was spectacular; the therapist was very professional and the treatment room was remarkably spacious. At the end, I was led to a relaxation room and offered nuts and fruit infused water. 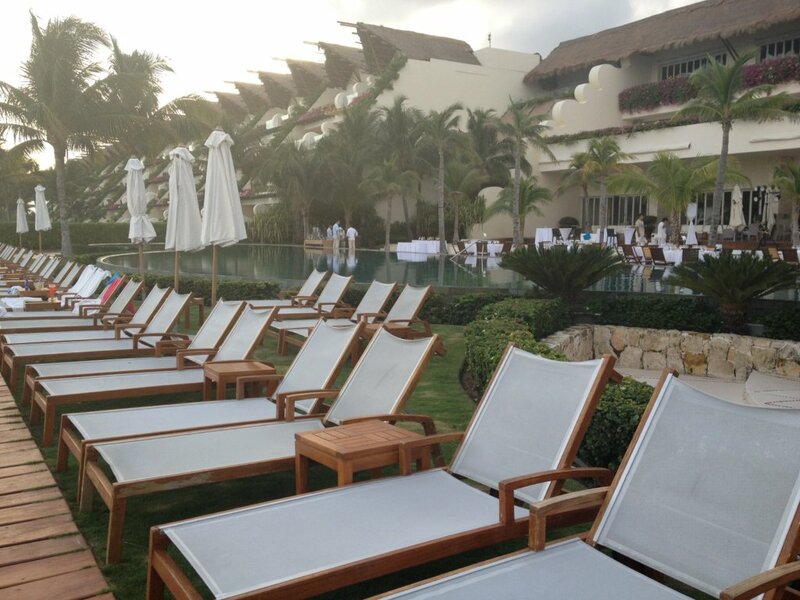 When thinking about All Inclusive, the words that come to mind are: poor quality, cheap food, terrible service, etc. But after staying at Grand Velas Riviera Maya, those words will stay in the past. As far as food and drinks all of them are high quality and premium brands. The in-suite minibar is replenished whenever you wish, and what should be highlighted is the personalized service – the staff makes you feel special. As an additional fact, I can say that this hotel has been awarded Five Diamonds by the AAA (certification that qualifies the quality and warmth of staff in its parameters). This recognition is one of the most difficult to achieve and therefore it is one of the most exclusive in the world. Another aspect that I must highlight is something my Concierge told me: The hotel has several certifications for environmental care, due to its multiple procedures to save energy and water, beach cleaning, recycling and more. Without a doubt, I will be returning to Grand Velas Riviera Maya, it is an All Inclusive that goes beyond the conventional.